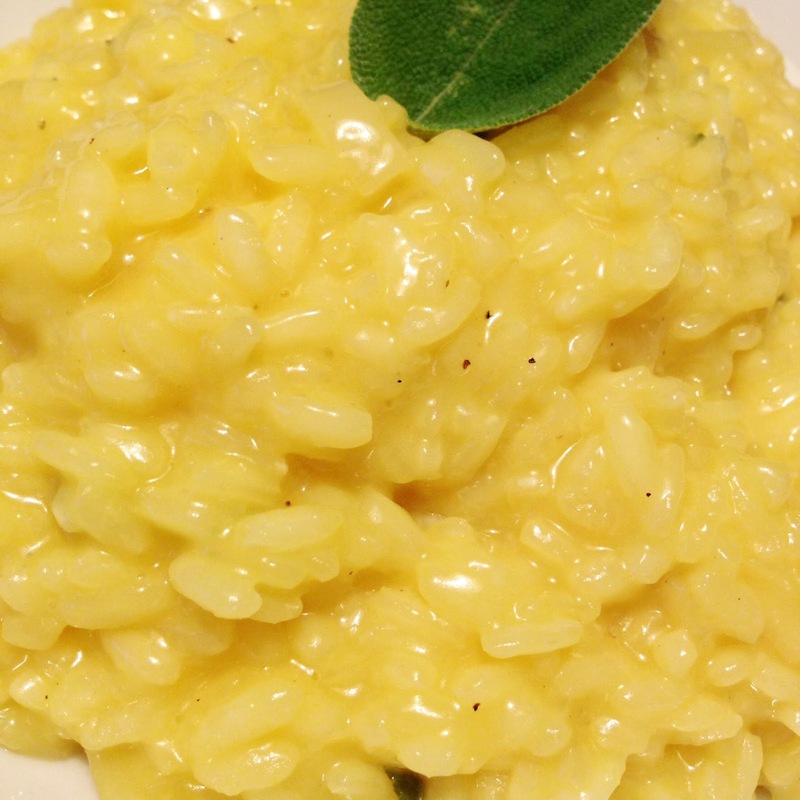 Risotto is really not hard to make and is so delicious. 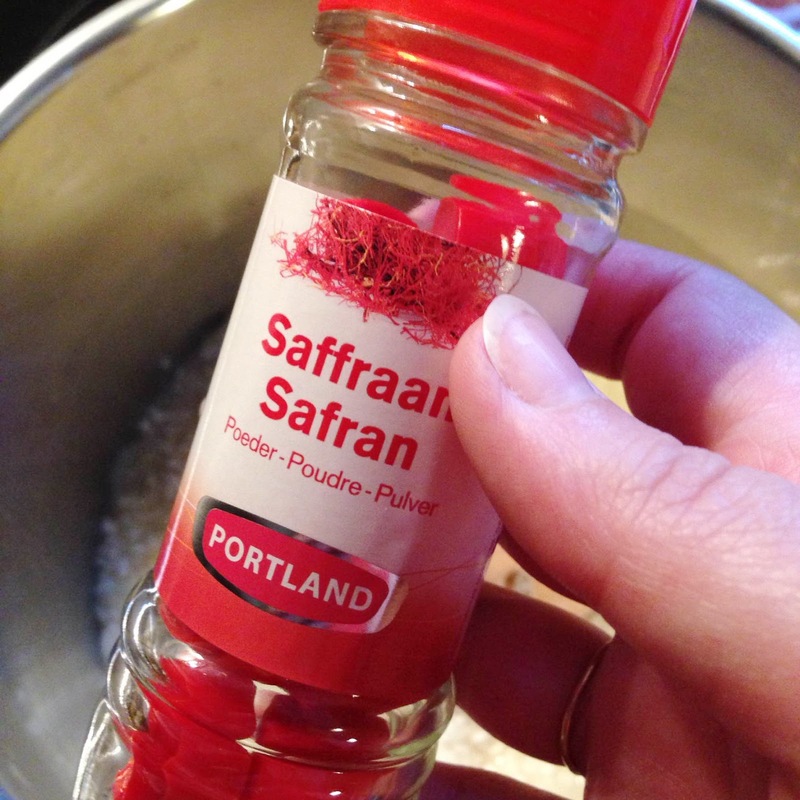 There are so many variations around, so i thought i make one with Saffron and sage, it gives such a nice yellow color to the rice. I had found a recipe for making risotto with balsamic vinegar, but i had no vinegar in the house.....so i changed it to Saffron and sage fresh from the garden to give it that extra touch. Also this recipe is made normally with a good wine, but again.....i had no wine in the house LOL. So i used my Babycham sparkling perry and i must say that it tasted really good. 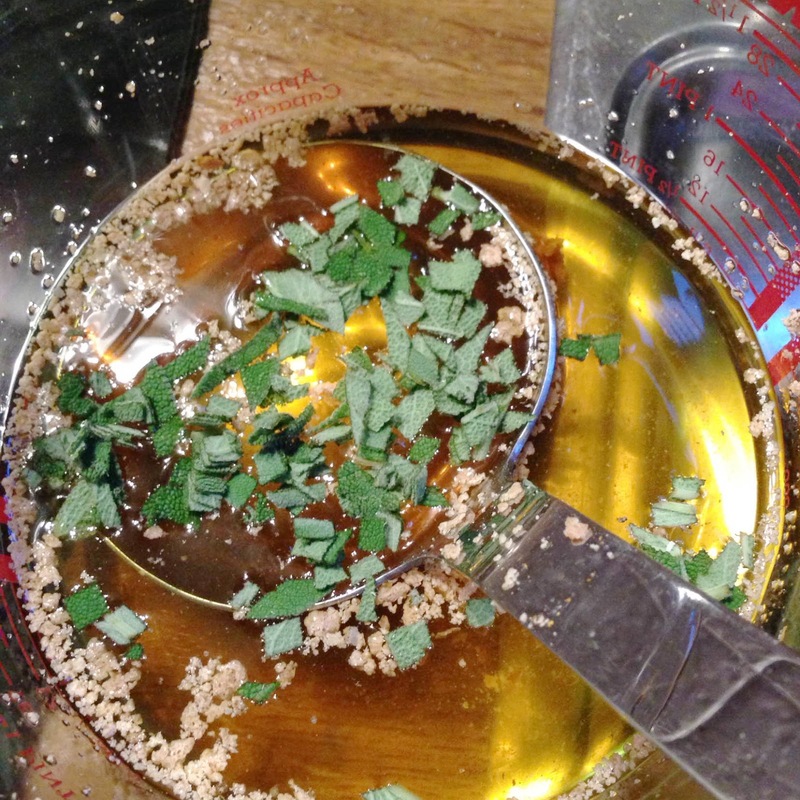 Sometimes i’m too lazy to go especially to the store to get the ingredients needed, so then i change my recipe to what i have. This way i came to this dish. 1. 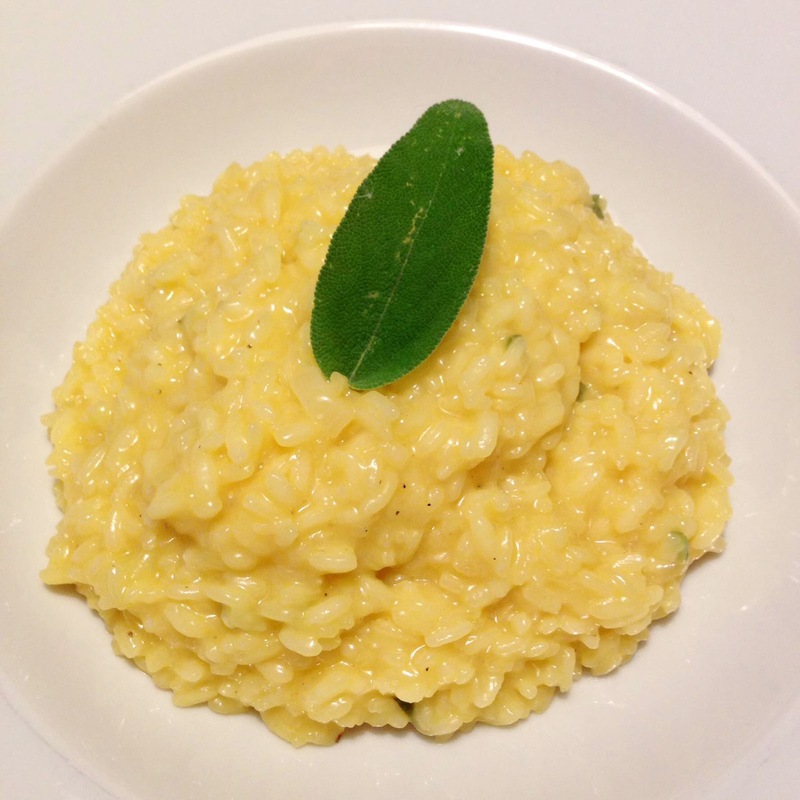 This is real comfort food and so easy to follow up. 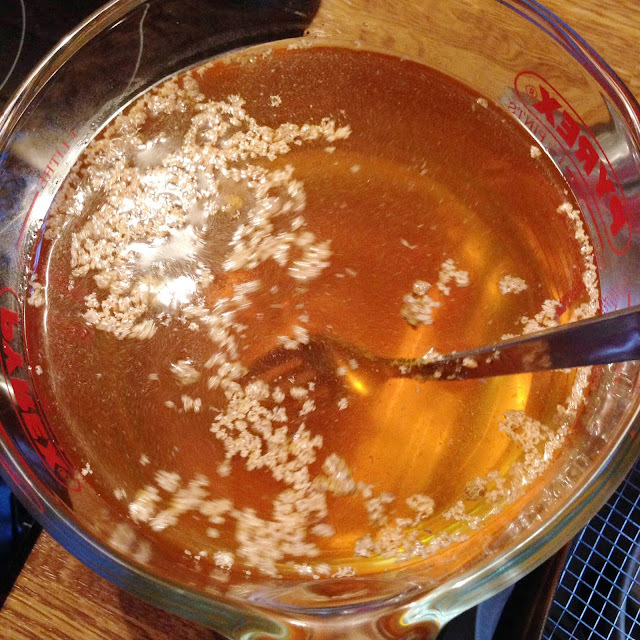 First start with making your bouillon by cooking 1 liter of water and add the vegetable stock to it + saffron. Gently Stir to mix well. Set aside and prepare your other things. 2. Chop your onion and heat up a nice pot with 4 tbsp with olive oil. Then add the onion and glaze it. 3. 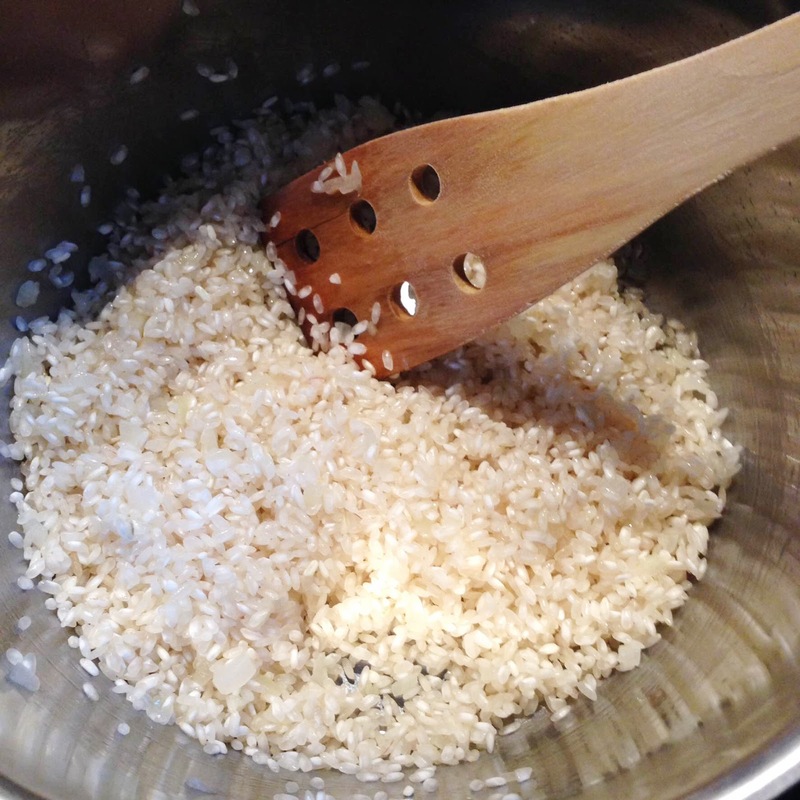 Add The rice to it and stir until all the grains are coated with oil. 4. 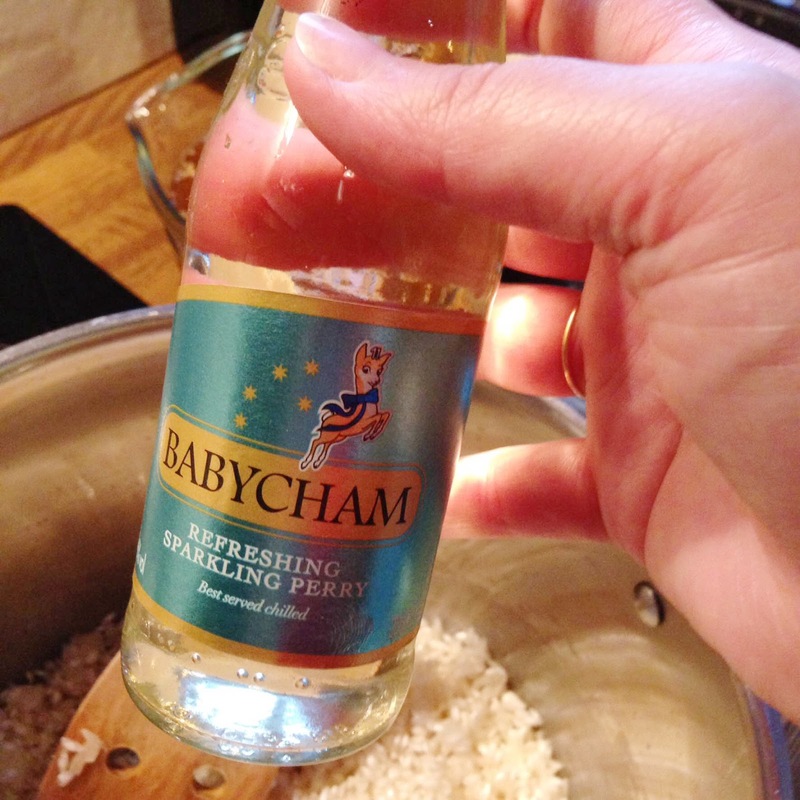 Then add the white wine and keep stirring until it evaporates. 5. 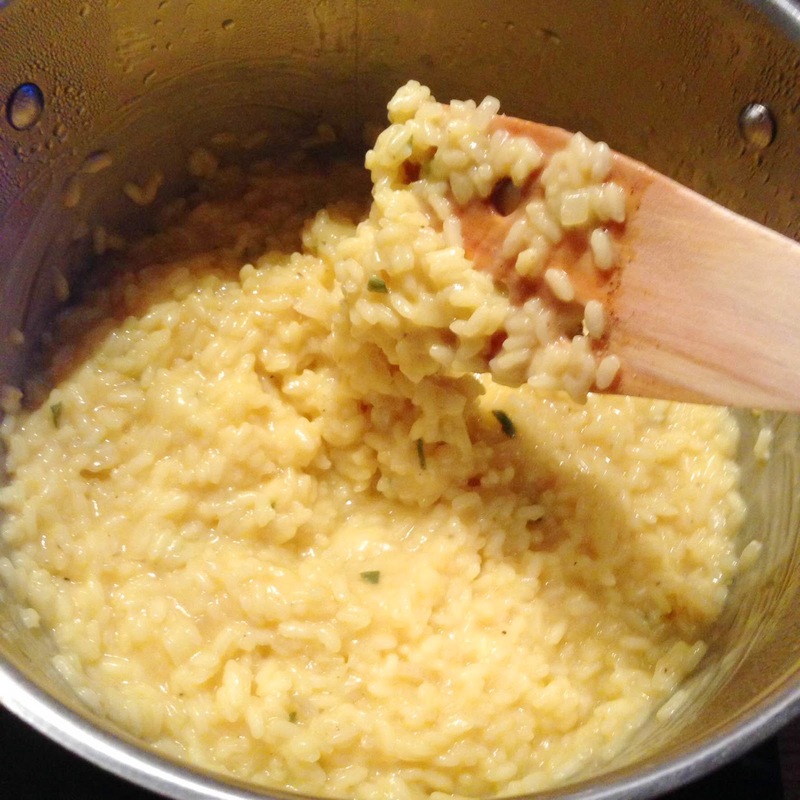 Then it’s time to add the stock with a ladleful each time, let it cook more gentle and keep stirring all the time till it has been absorbed, repeat with more stock every time till you used it all, cause that’s the trick to become a good smooth risotto, treat it gently. This handling takes about 20 minutes in total. The rice will be al dente after that time. 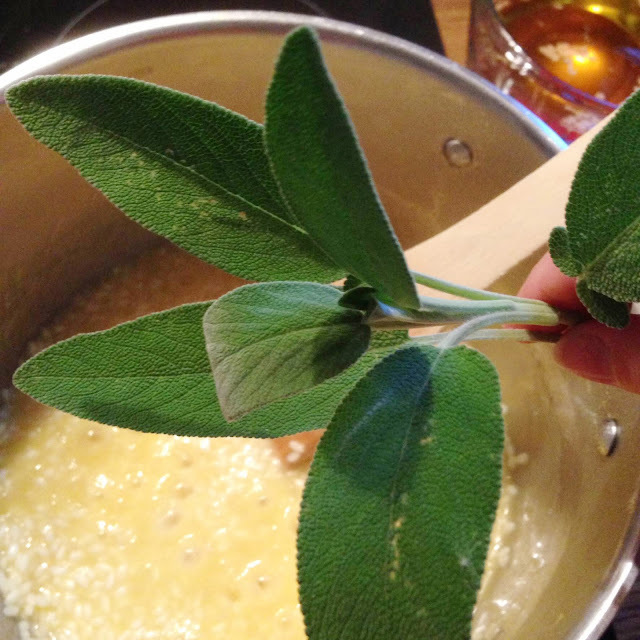 Somewhere half way the stock used, you can add the chopped sage. 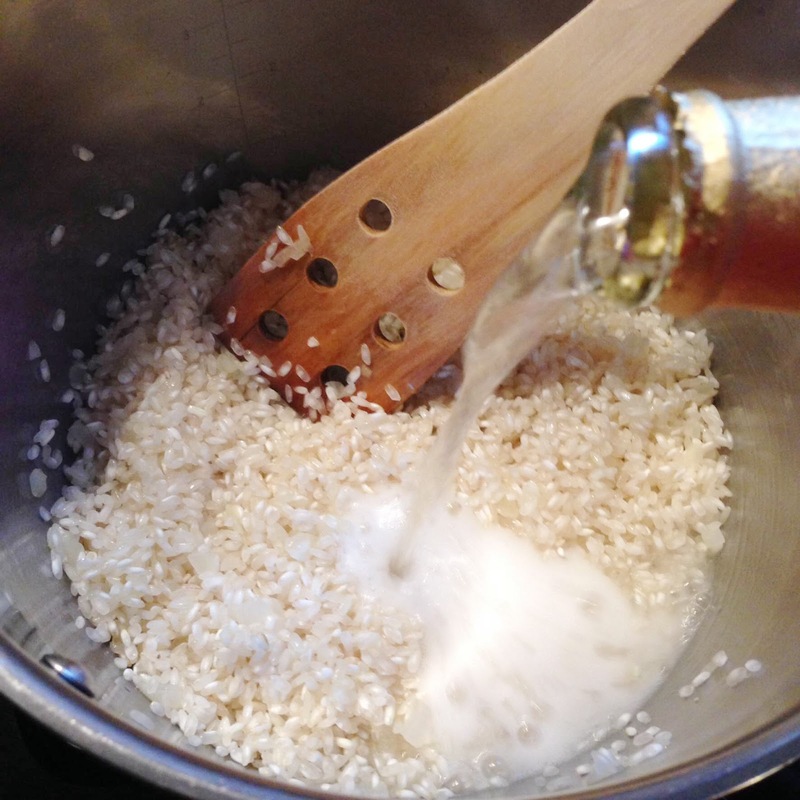 then you add it to the risotto while the rice is cooking. The flavors will smell around your nose. Be careful not to smell too close to the pot, as the damp is hot! 6. Remove from the heat and beat in the parmesan, 1 tablespoon of butter, pepper and salt. 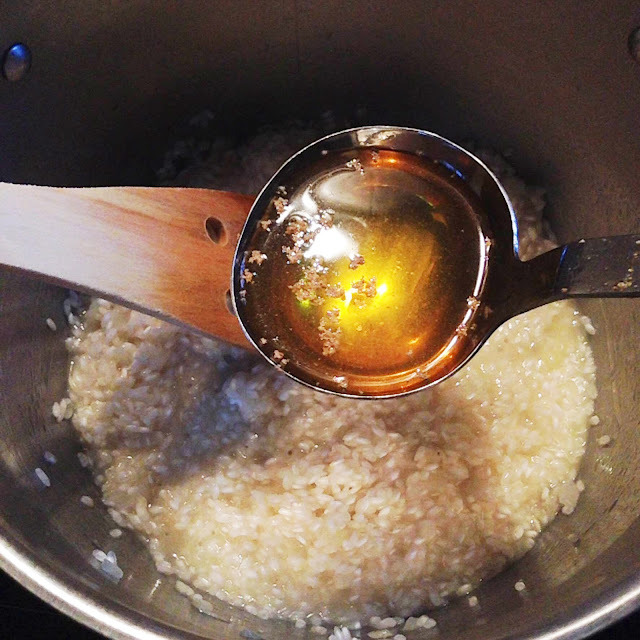 Use a wooden spoon to do this, as you have total control over the stirring. Put some love in it as well.....You’ll see that it will taste so much better! 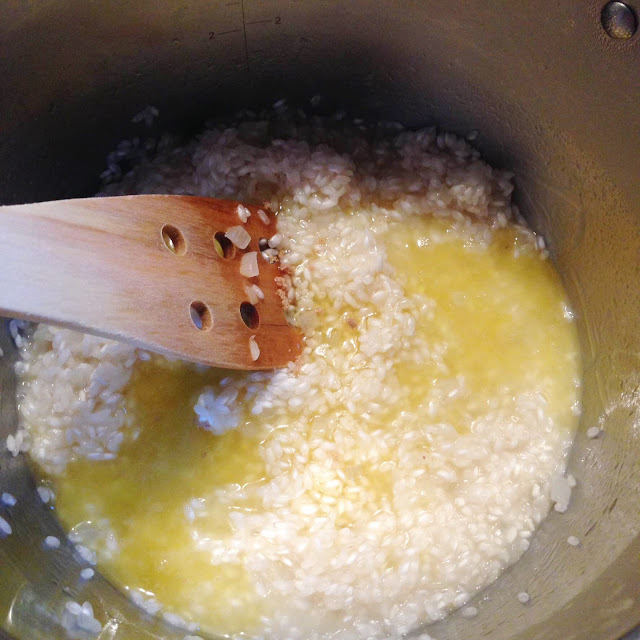 When the butter has melted well, divide the risotto immediately over your plates and serve with some grated pepper on top.